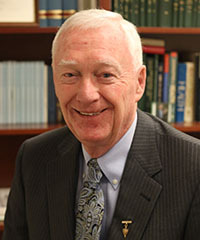 John E. Wilson, Ph.D., Clinical Professor of K-12 Educational Leadership, is Program Director for the Doctor of Education (Ed.D.) in K-12 Educational Leadership. He is a professional educator with more than four decades of experience, having served seven different public school districts in a 34-year career, including more than two decades in the role of superintendent of schools. Robert C. Cloud, Ed.D., is a Professor of Higher Education and Chair of the Department of Educational Leadership in the School of Education. 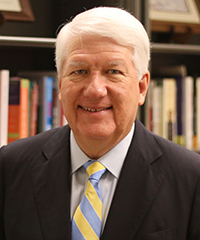 He holds four academic degrees and is a former college administrator, having served as President of Lee College in Texas for ten years and as Vice President, Dean, and Department Chair for an additional ten years in three other Texas colleges. Dr. 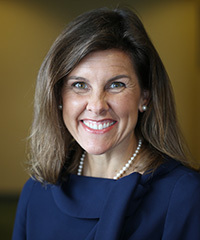 Cloud joined the Baylor University graduate faculty in 1988 and has served as chair of two academic departments at Baylor, EDL and the Department of Health, Human Performance, and Recreation (HHPR). 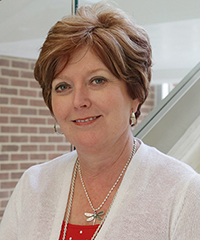 Karen Rue, Ed.D., is retired as superintendent of Northwest ISD and also served as superintendent of Tuloso-Midway ISD. At a local and national level, Dr. Rue has been active in leading and creating a transformational shift in education, with a focus on preparing future-ready students, encouraging innovation and creativity, and developing more meaningful assessment and accountability measures. Dr. Rue was a founding member of the Public Education Visioning Institute and served as co-chair of the Texas High Performance Schools Consortium. Dr. Rue served as President of both the Texas Association of School Administrators and the Urban Superintendents of America Association. She also served as Vice President for the Texas School Coalition and is a past president of the Fast Growth Schools Coalition and Texas Association of Suburban/Mid-Urban Schools. Tiffany Hogue is a professor and lawyer who recently completed her 16th year as a senior academic administrator at Baylor University. She has been Assistant Dean for Academics in the College of Arts and Sciences, Assistant Provost, and, most recently, she served for five years as Chief of Staff to the Executive Vice President and Provost. She teaches graduate courses in education leadership, governance, law, and policy and also directs and teaches in the Leadership Studies program, a minor available to undergraduates across all disciplines. Hogue earned a Bachelor of Arts in Political Science from Baylor University and a Juris Doctor from Georgetown University Law Center and practiced employment law before returning to Baylor.